Total Construction Training offers a one day Telescopic Handler assessment at our Centre for experienced candidates in order to quickly gain your competent workers card. Or the NVQ can be delivered by the traditional OSA Route at your site. Prior to Telescopic Handler training, all visitors must report to reception on arrival and follow site safety rules at all times.There are no catering facilities on site, so delegates need to provide their own lunch. There are tea and coffee facilities available. 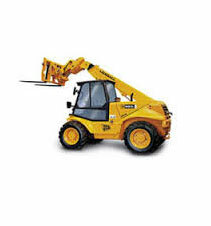 Telescopic Handler training candidates must bring and wear their PPE on site for plant testing. They must also bring signature and photographic identification as required for all testing. The NVQ is accredited by CSkills Awards.